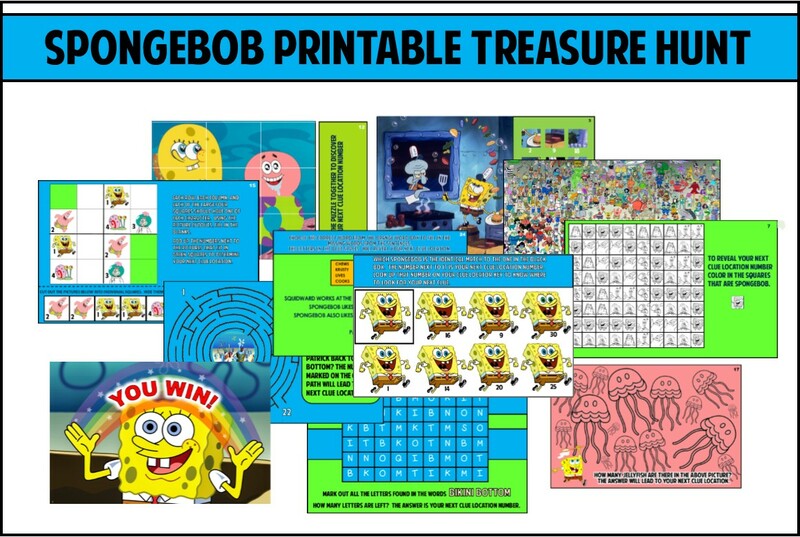 How does the Spongebob treasure hunt work? You decide where you are going to hide the clues. 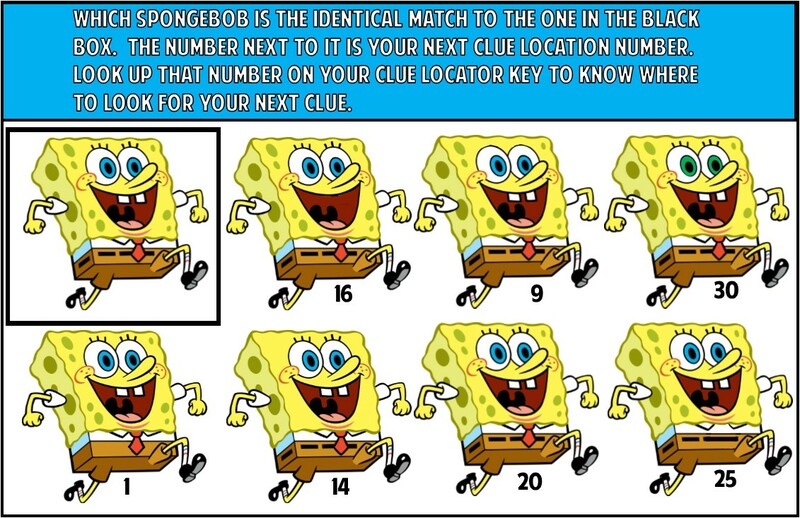 Each clue has an assigned number. You will then fill out the key locator. 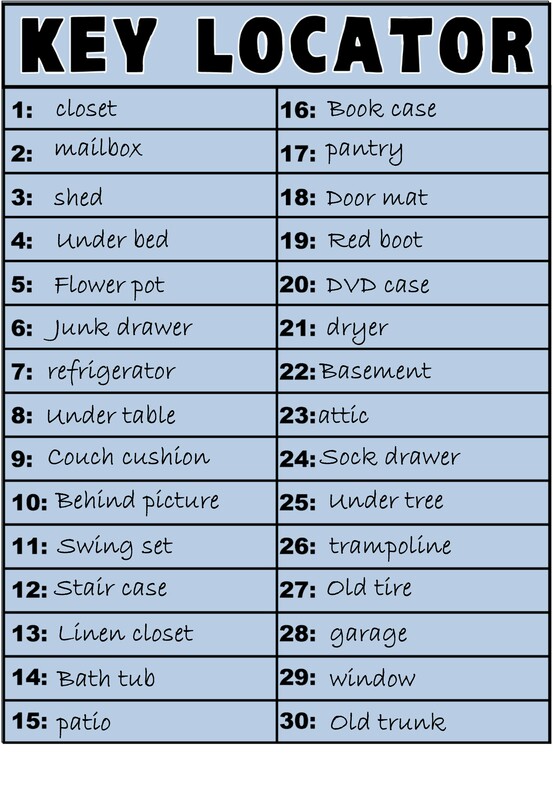 For each clue, you will look at it's assigned number and write down the location you are hiding that clue next to the coordinating number. Fill in the rest of the spots with decoy hiding locations. Each of the clues has a numerical answer. 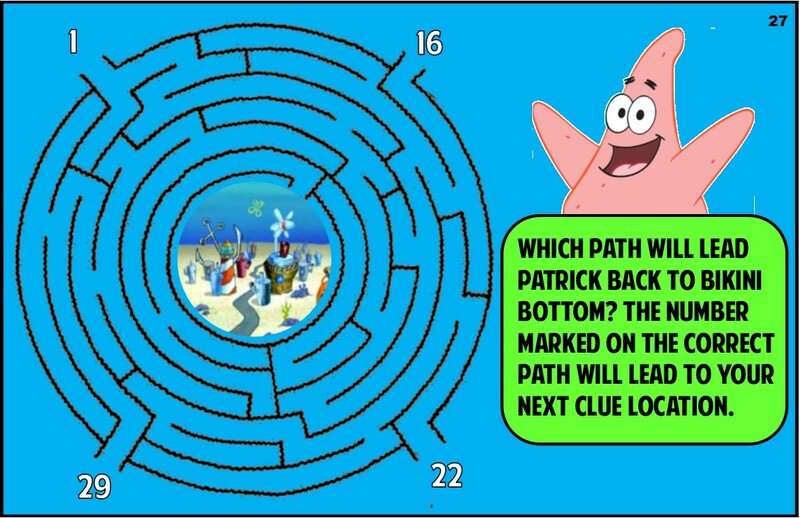 When the kids solve the puzzle the numerical answer will be located on the key locator. They find that number and then they will know where to search for there next clue. 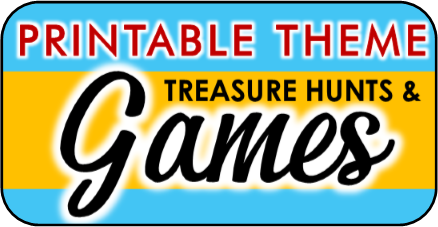 See treasure hunt clue sample below. The answer to each clue is a number. The kids will look to see which location is located next to that number on the key locator and that is where they will search for the next clue. They follow each clue to the next until they have solved all 10 clues. In the final location you can have a surprise waiting for them along with the YOU WIN graphic that we have included! 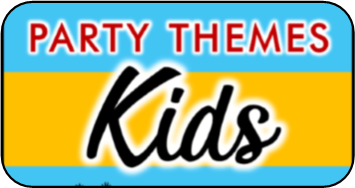 What age range is this party game for? Ages 6 - 12. Players should know how to read, add, and subtract. What supplies to I need to set this party game up? You will need to print out the clues. You will also need scissors and players will need something to write with such as crayons. How long does this game take to play? Usually around half an hour. Is it hard to set-up? No, it's pretty straight forward. Complete set-up instructions are included. What all is included in this download? How long does it take to receive one I order? You will receive an email within minutes after you order with an INSTANT DOWNLOAD link attached. 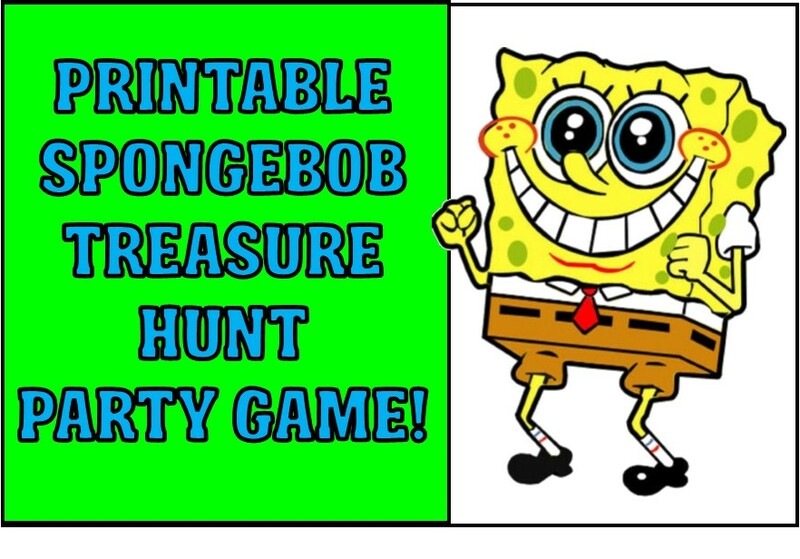 You can then download it immediatly and get it ready for your Spongebob party.